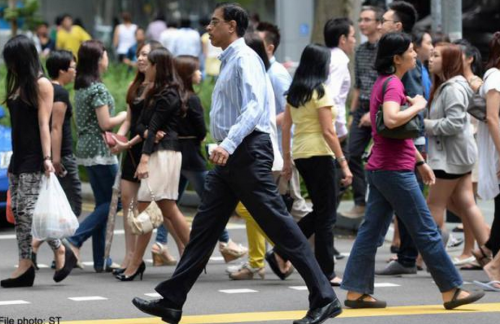 SINGAPORE remains the place to be for the highest base salaries at senior and top management levels in the region, with pay levels around 10 per cent higher than the next highest, Hong Kong, according to new research by global professional services company Towers Watson. The findings in the Asia Pacific section of Towers Watson's 2014/2015 Global 50 Remuneration Planning Report sheds light on the relative competitiveness of base salaries across the region and the impact of currency movements on base salaries in United States dollar terms. In Singapore and Hong Kong, base salaries overall edged 3 to 4 per cent higher, except at top management level, where base salaries grew around 6 to 8 per cent. "That said, we do see signs of regional headquarters moving from Singapore to other lower-cost locations, such as Malaysia and Indonesia, to reduce staffing costs, subject to availability of talent." But Hong Kong may overtake Singapore in the near future for highest executive pay. "Hong Kong will very likely top the region for executive pay in the next few years if its currency continues to strengthen against the Singapore dollar," said Mr Rakyan. "With the US dollar rising and the Fed expected to raise interest rates this year, the dollar peg will see the Hong Kong dollar rise in tandem." While base salaries in Singapore remain top of the table, those in Hong Kong stayed comfortably higher across the board than in Greater China. For production and manual work, base salaries in Hong Kong are around three times those of China, a gap that narrows to around twice on entering the junior management and professional grades. Thereafter, the salaries are 20 to 40 per cent higher. The pay differentials between China and Hong Kong narrowed, particularly for manual and production work, where base salaries in China rose 9 to 15 per cent, while in Hong Kong they were up 2 to 3 per cent on average.